Newsgroups Pictures Downloader is a specialized news reader that focuses on picture newsgroups. It is a picture downloader to download pictures from newsgroup or newsgroups. It filters text and spam from usenet postings and presents only the pictures in an easy-to-use interface. It supports common file formats such as JPEG, GIF as well as queued downloads and server authentication. It now allows a list of news server addresses so you can change a news server more quickly. 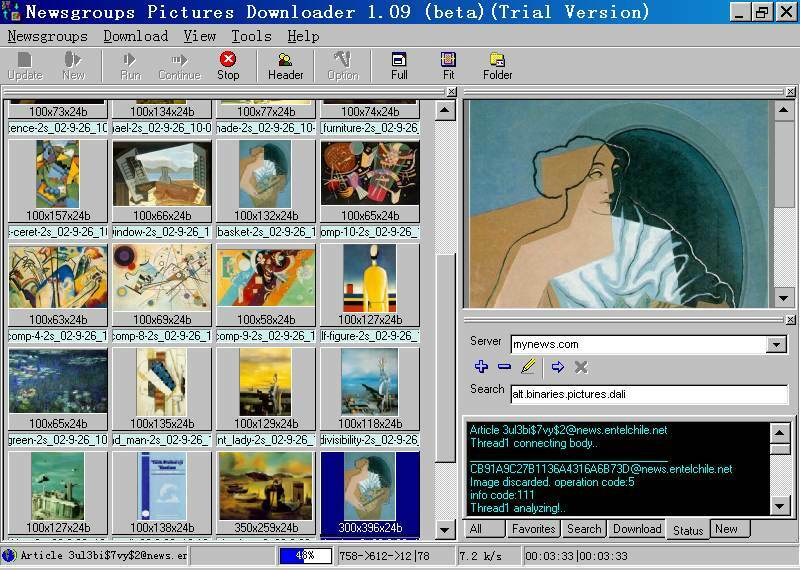 It makes picture download from newsgroups a fun task.Download picture while saving both your time and energy! Enjoy your newsgroup pictures download jouney with our Newsgroups Pictures Downloader!